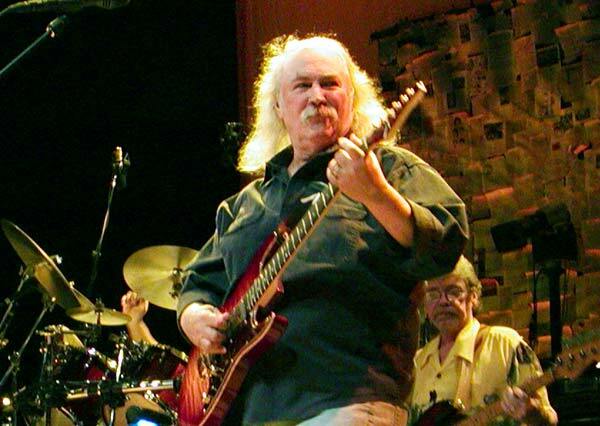 'David' is David Crosby and 'The Dorks' are Jery Garcia, Micky Hart andPhil Lesh. At this night they played as well Crosby's songs ('Triad' e.g. )anddead-favorites ('Bertha' e.g.) It's a soundboard recording, but thehigh generationof tape resulted in some fair amount of hiss at softerparts and the highfrequencies are a little bit lost. Still an enjoyabletape. The 2 meter Sessions are a dutch radio show in which bands get the opportunaty to play live and usually accoustic. CPR recorded these tracks for that show. Excellent performance in The Netherlands most famous rock temple. David Crosby, his son James and Jeff Pevar and doing some new songs andsome old time favorites. It's an audience recording but the sound is very good..at least... the last few songs (about 3 / 4 of the second disc) areplaguedby some sort of diginoise making it almost unbearable to listen to. I have this second disk replaced wich has a bit better soundquality as wel. Complete show. Nice performance with a some passionate playing. (See also CSNY for Crosby, Stills Nash & Young).